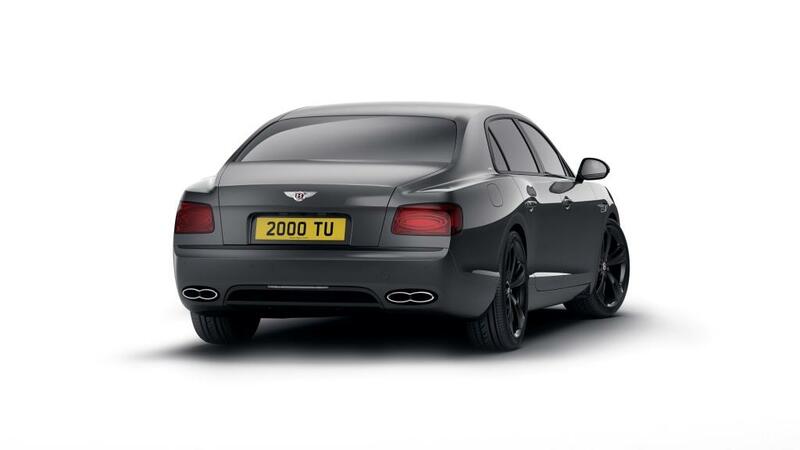 Bentley Motors is today announcing full details of the new Bentley Flying Spur V8 S Black Edition – the car of choice for customers seeking a luxury performance saloon with a more dynamic aesthetic. 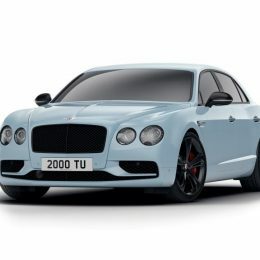 The suite of striking exterior and interior features have been created by the British brand’s designers to reflect the car’s sporting character. 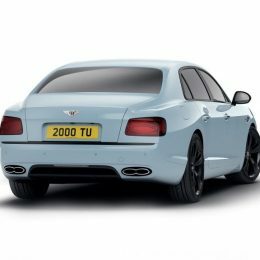 Black gloss brightware, dark tint lights, gloss black window surrounds and door mirrors, and new wheels provide a more dynamic, contemporary commentary for the mighty power output of the V8 S engine. 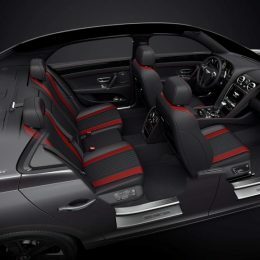 Inside, a unique colour split, with striking new accents, is available to customers, while a three-spoke Sport Plus steering wheel and Piano Black veneer comes as standard. Tuned for more power, the 4.0-litre V8 engine delivers 528 PS (521 bhp) and 680 Nm (502 lb. 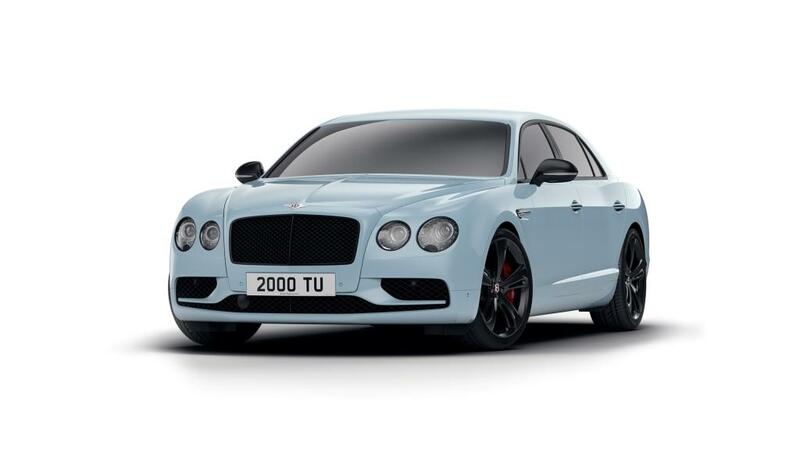 ft.), which propels the Flying Spur to 100 km/h in 4.9 seconds (0-60 mph in 4.6 seconds), and on to a top speed of 306 km/h (190 mph). This power is delivered to the road via an all-wheel-drive system with a 40:60 rear-biased torque split for a sure-footed, engaging drive in all road and weather conditions. The headlights and tail lamps have a distinctive dark tint and black bezels, while the radiator and window surrounds, headlight washer caps and door-handle inserts are styled in a striking black gloss finish. 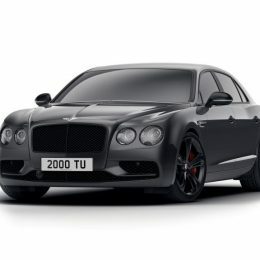 There is a bespoke alloy wheel design, unique to the Flying Spur V8 S Black Edition, in the form of a 21” seven-spoke Elegant pattern in a striking gloss black finish. Customers have the choice of black or red painted brake calipers, to complete the sporting enhancements. The Flying Spur V8 S Black Edition also has Piano Black veneer and a three-spoke Sport Plus steering wheel as standard. 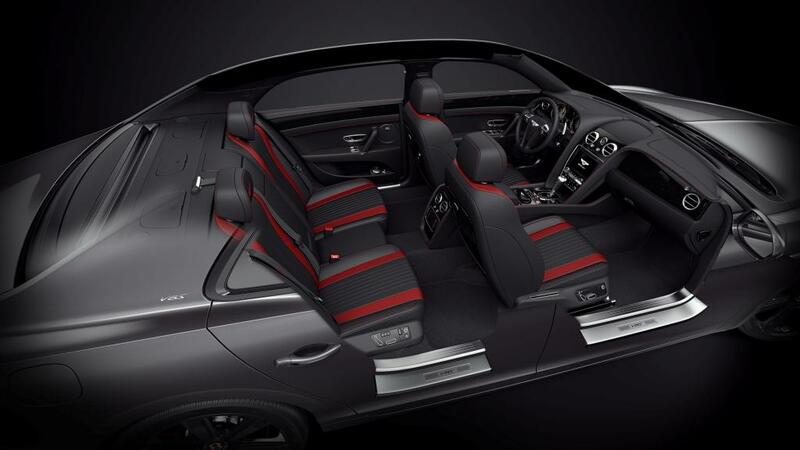 It has contrast stitching to complete the bold, sporting appeal of the interior. Of course, should customers wish for a different aesthetic, the interior can be specified with a full range of interior colours and colour splits. V8 S Black Edition comes with diamond-quilted hides in the seat and door panels, with contrast stitching for a more contemporary visual tone. 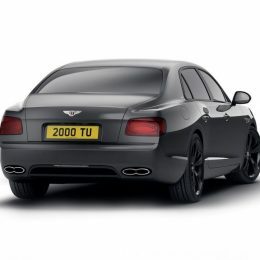 Externally, Mulliner Driving Specification gives customers the additional choice of two 21” five-spoke Directional Sports wheel finishes in gloss black or dark tint.